The Cayman Limited Edition is a high-end tri-toon design with multiple available layouts. 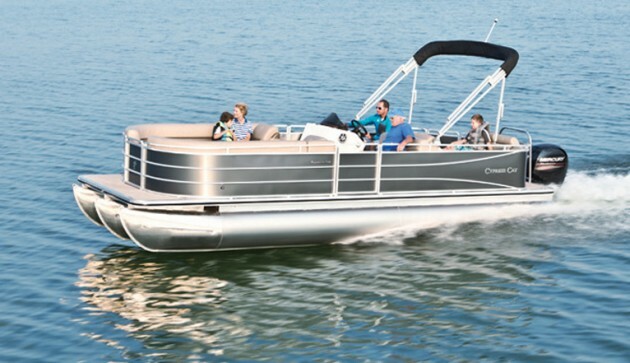 -The Cypress Cay Cayman LE 250 is an adaptable pontoon boat which offers lots of creature comforts. 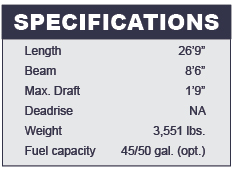 -Use a triple-log design and offer lots of horsepower, for performance in the mid- 40’s. 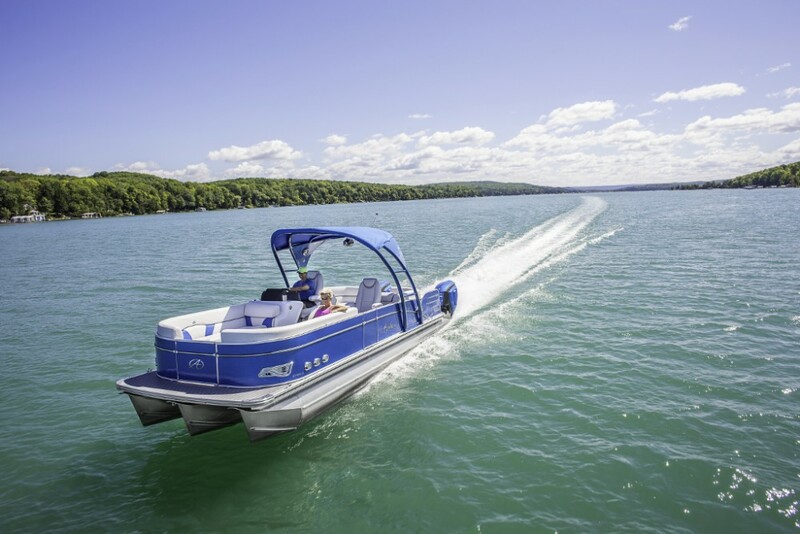 -Pontoons have three separate welded chambers, reinforced nose cones, and strakes. 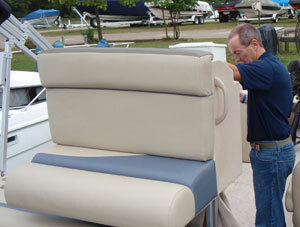 -Multiple lounges are extremely comfortable and have rugged rotomolded bases. -Bronze anodized finish will stand up to weather and use. 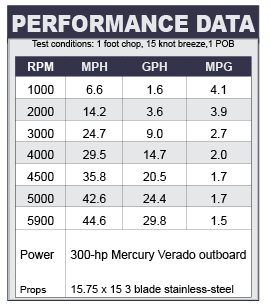 -At speeds around 30-mph, fuel economy is right around 2.0 MPG. 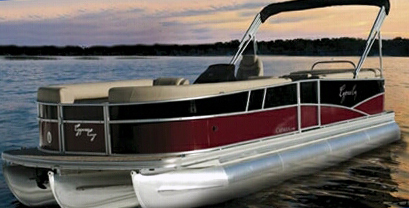 -Center tube is set lower than the others, so the boat banks in turns. 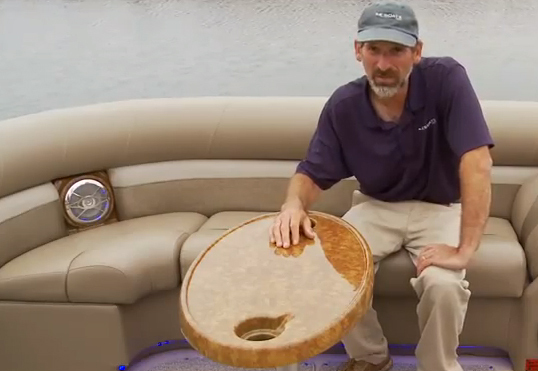 -Triple logs allow for tight turns and fast maneuvers, during which the helmsman always feels in control. -Plenty of weight and length to handle a moderate chop, even at fast speeds. 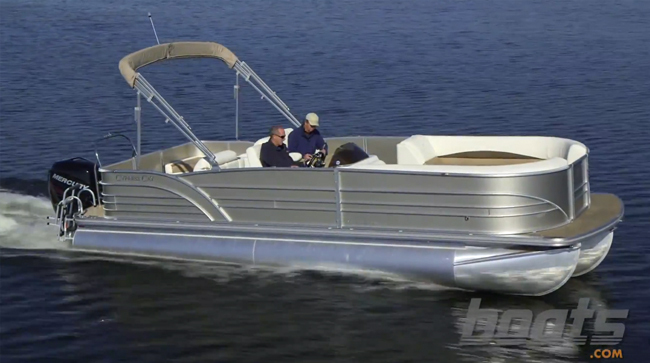 -Skirted under-deck is a rare perk, and it not only reduces friction, it also looks great when peeking between the pontoons. -Bronze anodized finish has a unique look.